Geneva junior Mike Guffey competes against Marmion's Kyle Yorke in No. 2 singles play during the teams' dual match Monday. 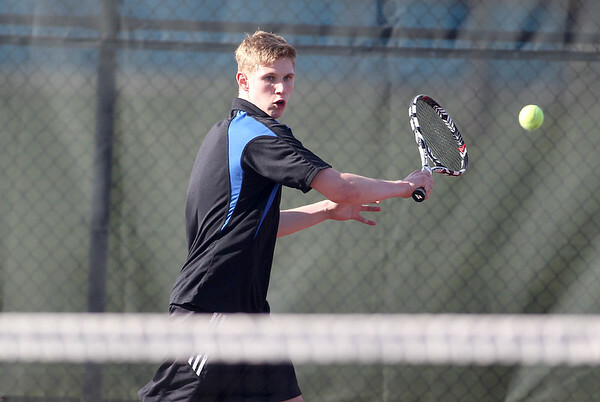 Guffey, who has a tennis playing background, only decided to try out for Geneva this season.